Sisterhood, the Blog’s social media project on WordPress, Talkshoe.com, and Facebook Group will return in March 2010. Until then, check out a video of me reading a poem “Sisterhood, the Blog” below. It is dedicated to you and all the women I connect with online and offline. Thank you for your support and online friendship! Enjoy your holiday season! PS: Be sure to check out Healthy You Now, a new online magazine, which launches on December 8. 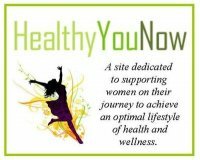 Visit www.healthyyounow.com.